Let's make our hallways beautiful! 5 must haves + see how I styled mine! I get inspired so quickly and I want to share that with you to inspire you too! How many of you hate your hallway. Or there's nothing interesting about it. Or maybe you think you don't have one? Well, you do. If I have 3 (one on each level) of my small split level, I'm sure you do too. 1// Super cute photos in frames. Go to Ikea or Homesense or ask your family if they have frames they don't use anymore. Bonus points if they look vintage (I am sure your aunts or grandmothers have a few). Then, I know this is asking a lot but go to a photo printing place (I use Walmart) and print some recent favourites!!! I print mine right off my phone! It's so easy! 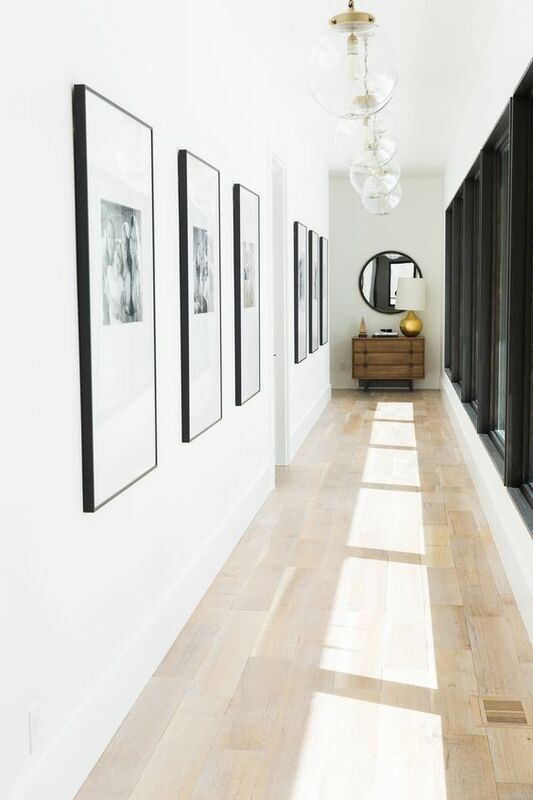 Then create a swoon worthy gallery wall. You CAN do it! You just can't be scared. Holes are tiny, go ahead and make them! Life is too short! Then you can actually enjoy passing through your halls, mine makes me soooooo happy. I love seeing these images frozen in time. I switch them up every couple years. 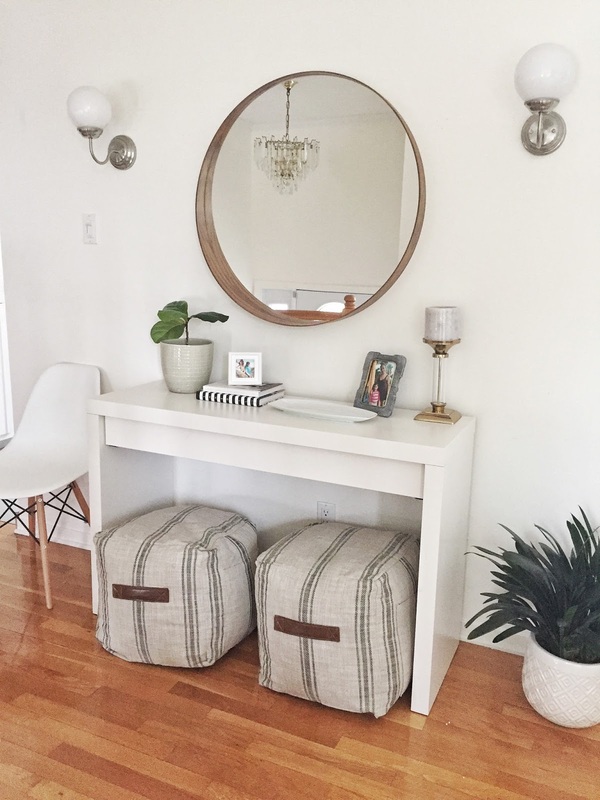 This inspiration from Studio McGee is simple and so easy! 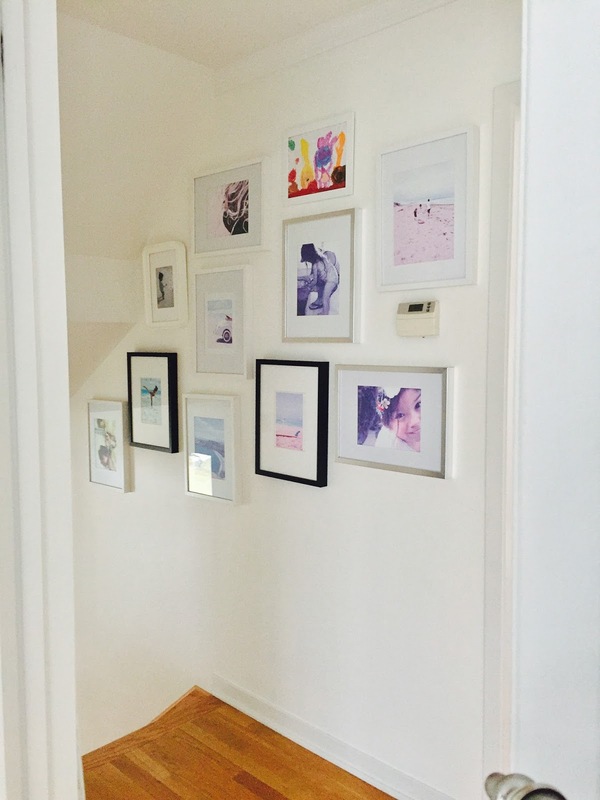 And how I made our mini hallway leading to the bedroom fun! Mixed in art & family photos along with vacation pictures. Sorry for the super crappy Iphone pics, but you get the idea! 2// Which leads me to my second must have, great lighting. I do not have a working light currently in my upstairs hallway. Even though I've switched the bulb it for some reason or other just doesn't turn on. I'm wondering if it is electrical. Anyway, for all of you, a beautiful light fixture and great lighting always adds to the ambience. I love a good vintage crystal chandelier because it throws sparkly light everywhere, which is so flattering! A simple modern bulb light also is a really nice option. 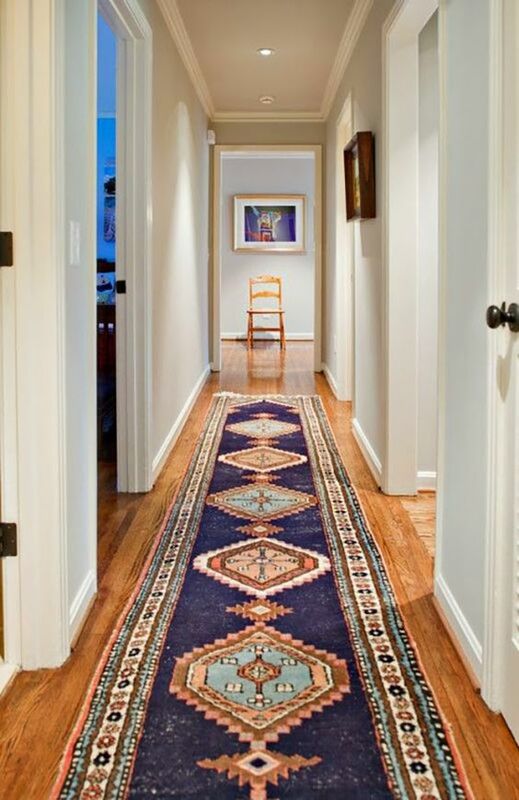 3// If you can, add a beautiful patterned rug. What's so fun about this is you can go colourful even if you are generally not a colourful decorating person. The reason is because there is nothing else competing with it. No couch, pillows, curtains, etc. Just make sure you put a anti-slip pad underneath so those kiddos don't go flying down the stairs! And, be prepared for them to love this spot and pull out all there dolls and Barbies to use this place as their dream house, LOL. 4// A mirror! 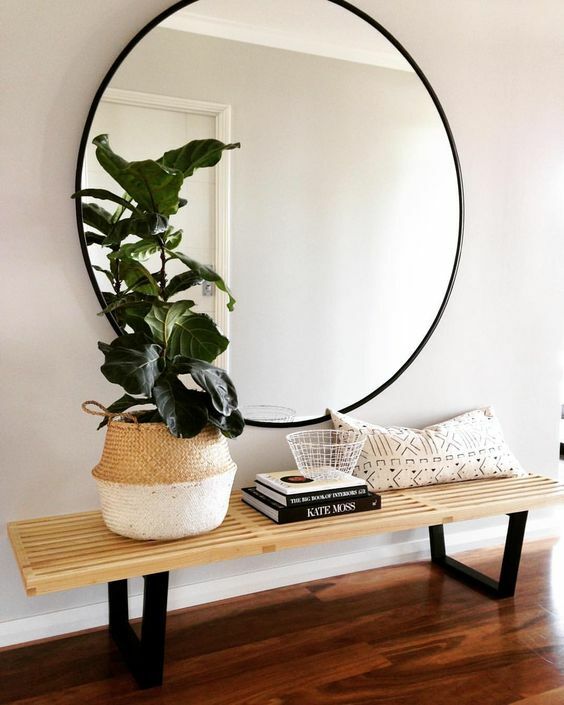 I am so obsessed (as is everyone now) with round mirrors. It just really breaks up the monotony of all those straight edges everywhere! Ikea has my favourite 2 round mirrors. This one & this one. I've got the first in my hallway, as shown below! I love it. It always gets tonnes of compliments. 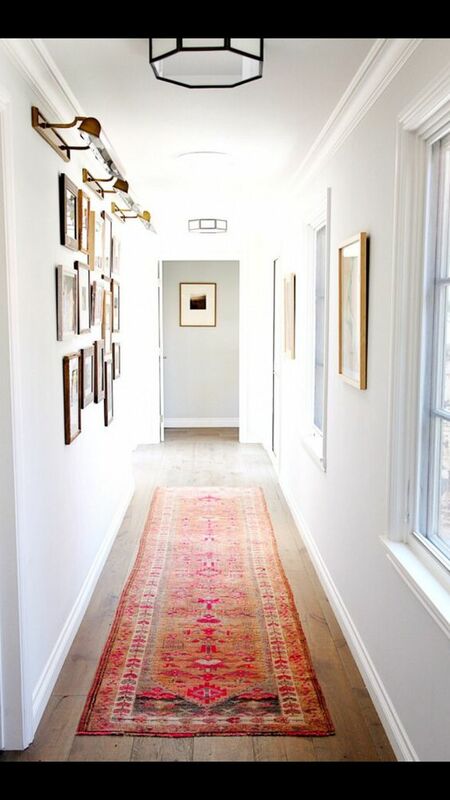 This hallway acts as my gateway to the rest of the house. So adding a chair is convenient to drop things as is the catchall dish on my console (also from Ikea). Those poufs are from Walmart, a serious amazing happy dance purchase at $25 a pop. They have faux leather handles on both sides and pockets on both sides. I was over the moon people. Which now leads me to #5. If no console, then a bench is also super convenient and gorgeous. I've seen this bench at HomeSense but also West Elm. Super stunning. What do you guys think? 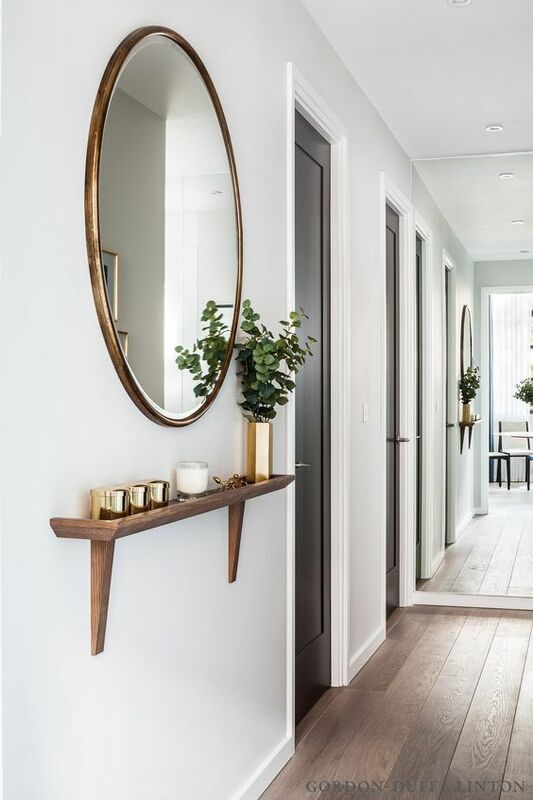 Want me to style your halls? LOL, I LOVE it! Get it together this season and do it! Ask me any questions or even email me a pic (or tag me in instagram) and I'd be happy to help you out with your questions! YAY!